Each year, our Year 6 pupils are invited to spend a day at Winchester Cathedral, taking part in a range of activities in the morning before taking part in a service in the afternoon. St Bede attended this event yesterday, working alongside a number of other schools from across the Winchester Diocese. You may remember that we designed a rather flamboyant sheep last year for the event. 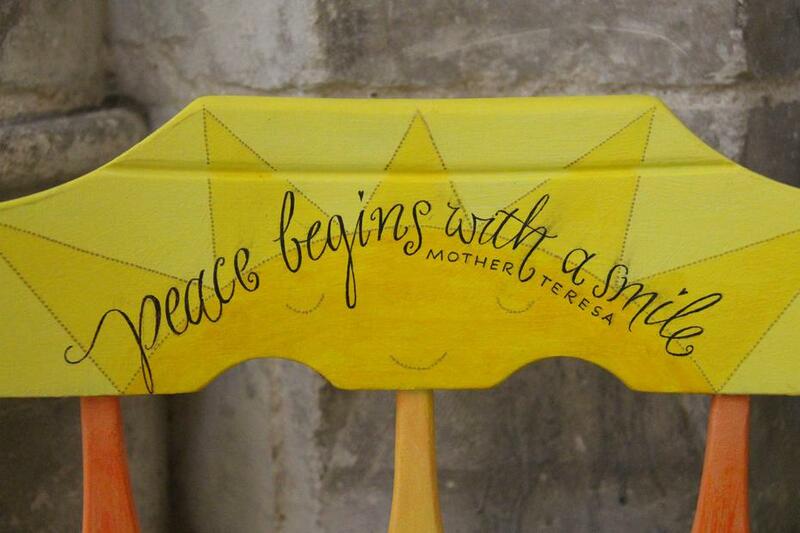 our project as part of the service. A number of our pupils spoke at the service and did so with great confidence and polish, we all felt very proud of them and of their finished chair. 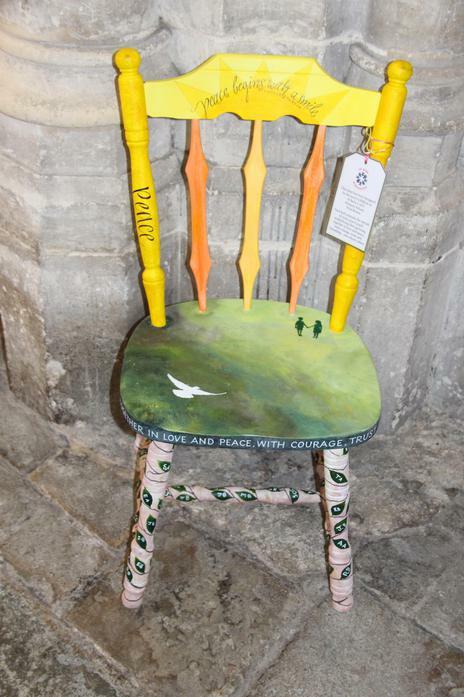 Chairs from all the schools that took part are on display at the Cathedral for the next two weeks. Both St Bartholomew’s Church and Holy Trinity Church have asked if they could display the chairs in their churches over the summer as well which is a lovely way of sharing the work of our pupils more widely across the community. Do go and see them if you get the chance.